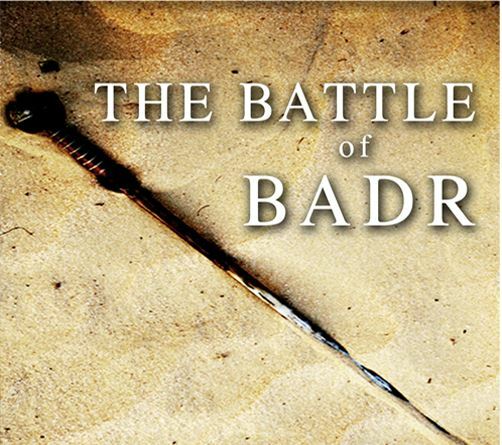 The Battle of Badr is the most important battle in the whole of human history as it firmly established Islam as the only true religion for the whole of humanity till the end of time. In Makka, the Prophet ﷺ devoted himself almost exclusively to expounding the basic principles of Islamic faith and to the moral and spiritual training of his Companions (may Allah be pleased with them all). After the Emigration, however, people belonging to different tribes and regions of ‘Arabia, who had embraced Islam, began to concentrate in Madina. Although the Muslims held only a tiny piece of the land, the whole of Arabia, under the leadership of the Quraysh, moved against them, bent upon their extermination. In these circumstances, the very survival, let alone the success, of this small group of believers depended upon several factors. First, that they should propagate their beliefs with the utmost conviction in order to convert others. Second, that they should demonstrate the falsity of their opponents’ standpoint so convincingly that there could remain no justifiable ground for any intelligent person to entertain any doubt on the question. Third, that they as the followers of the Prophetﷺ should not become disheartened because they had been driven out of their homes and were faced, through the hostility and opposition of the whole country, with economic stringency, hunger, and constant insecurity and danger, but that they should confront the situation with patience and fortitude. Fourth, that they should be able to find a way to retake all their wealth and goods usurped by the Makkans during Emigration. Fifth, that they should be prepared to resist with both courage and the force of arms the violent assault by which the enemy intended to frustrate their movement, and that in this resistance they should not heed the enemy’s superiority in either numbers or material resources. In addition to the threats coming from Makka and its allied tribes, there were, in Madina itself, three tribes of the Jews. As explained earlier, the Jews held the control of the economic life of the city. In Madina, another element of enmity against Islam also began to emerge in the form of hypocrisy. One group of hypocrites consisted of those who had no faith in Islam but had entered the ranks of the Muslim community merely in order to create mischief. For 13 years in Makkah, none of the Companion (may Allah be pleased with them all) took out even a small knife, a knife or anything to defend themselves against to mushriks who were torturing, making them to suffer, humiliating them, taking away their rights and everything. They did not even think of defending themselves, rather were busy obeying to the Messenger of Allah ﷺ and confronted the situation with utmost patience and fortitude . The Battle of Badr is the most important battle in the whole of human history as it firmly established Islam as the only true religion for the whole of humanity till the end of time. It took place on 17 Ramadan 2 A.H, 624 C.E. The beloved holy Prophet Muhammad, peace and blessings of Allah be upon him, together with 313 of his Sahaba (Companions) and angels sent by Allah defeated about 1000 better armed polytheists of the tribe of Quraysh. The Companions of Prophet Muhammad ﷺ who took part are the Muhajirin and the Ansar. The Muhajirin are the Muslims from Makkah who had migrated to Madina. The Ansar are the Muslims of Madina who helped them settle in Madina. The two main tribes of Madina were Aws and Khazraj. The Ansar (Helpers) of Madina, are thus classified either as Awsi (belonging to the Aws tribe) or Khazraji (belonging to the Khazraj tribe). And they submitted themselves to the Prophetﷺ. They did not complain. 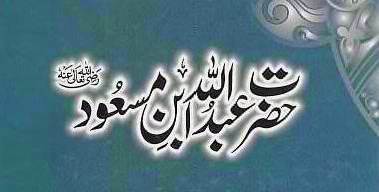 Sahabi-e-kiram; they feel pain, they feel hunger but they submitted themselves to the Holy Prophetﷺ. So when they came to Medina, and they heard that the mushriks were coming to destroy them, they looked to the Prophet (ﷺ), and the Prophet(ﷺ) is saying, “we will not move, until Allah give us the permission to move. Until Allah gives me an order, I will not move.” They submitted. When the order came, Holy Prophet ﷺ said, “Allah is saying, ‘now take your sword and strike, but to know that it is Allah that takes the lives, not you.’”And they were so happy. They were not happy because of revenge. They were happy, because Allah gave them an order, Allah communicated with them. Allah spoke to them. And it is their chance now, to make Allah happy. Allah swt is saying in the Surah ul-Araf, ‘So tell the stories that perhaps they will think.’ Islam it is a religion for the man who sits and reflects on the signs around him; on what had happened in the history, on what happened to earlier nations, to earlier Prophets. 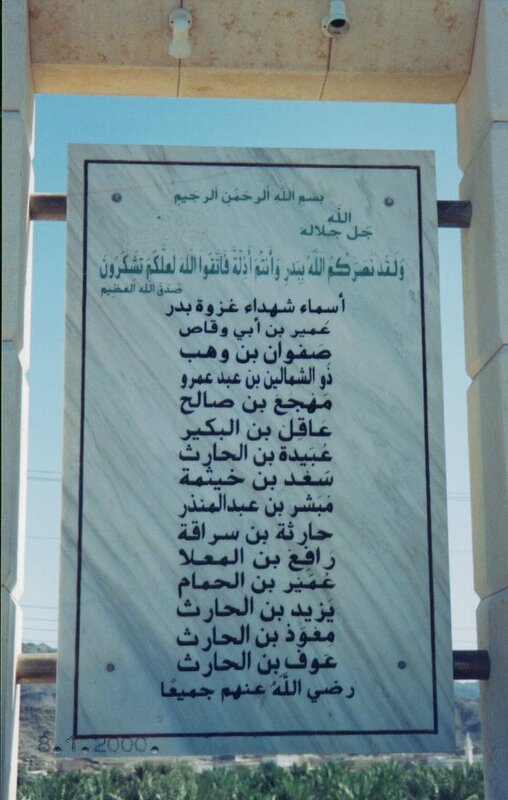 We ought to remember these warriors of Badr, all 313 of them and offering our respect, maybe some fatihas for them. But we must remember that it did not end there. The battle of Badr ended, yes. That was the first battle, but there is a final battle yet to come, and both the battles are linked. And the thousand angels that Allah swt promised on the Battle of Badr is going to happen in the final fight against the Dajjal. So now, we should prepare ourselves. Not to say, ‘I am this, or I am that’, rather learn from the battle of badr and prepare ourselves for the next battle, which is going to be both spiritual and physical. According to the Ahadith in Jami’ us-Sahih of Imam al-Bukhari (Vol. 5, p. 201, Hadith Numbers 292-294), the number of warriors in the Battle of Badr were more than 310 of whom more than 60 were the Muhajirin (from Makkah) and more than 249 were the Ansar (from Madina). According to scholars of sirah (history, biography), 313 companions took part in the Battle of Badr of whom 82 were the Muhajirin and 231 were the Ansar (61 Awsi and 170 Khazraji). Wallahu A’lam (Allah Knows Best). The number of Companions that are normally listed in Classics of Muslim Spirituality are more than those who actually took part because there are some Companions who were considered by the Beloved Prophet Muhammad Sallallahu ‘alayhi wa Sallam to be Ahl Badr (The Warriors of Badr) even though they were not actually present because they were sent by him on special assignments elsewhere at that time. Another reason why the list is greater than 313 is that in some instances, Muslim historians and the ‘ulama (the learned) are not absolutely sure from the evidence they have collected whether a particular Companion was actually present at Badr or not. So, perhaps they have decided to err in including the name rather than to err in leaving it out. For that reason perhaps, Imam ibn Kathir lists 321, Imam al-Barzanji lists 368, Mawlana Khalid al-Baghdadi lists 366, Shaykh ‘Abdur Rahman Chohravi mentions 357, Shaykh Mustafa Rushdi ad-Dimishqi has 356 while Shaykh ‘AbdurRahman al-Azhariyy has 385. We should remind ourselves that Asma’ Ahl Badr (the names of the Muslim warriors of the Battle of Badr) are Jalali (Majestic). They need the Jamal (Beauty) of Salawat (Invocation of Blessings) to cool them. So before we recite these, and after completing the recitation, it is recommended to recite Durood Shareef 100 times. Or instead, we can recite Qasidah al-Burda. Once we have recited the Salawat, we can come to the Asma’ Ahl al-Badr. Please recite Sayyidinaa before each name and Radi ALLAHu ‘Anhu (Allah is Pleased with Him) after each name. 1. Haritha bin Suraqa al-Khazraji, Rady Allahu ‘Anhu. 2. Dhush-shimaalayn ibn ‘Abdi ‘Amr al-Muhajiri, Rady Allahu ‘Anhu. 3. Rafi’ bin al-Mu’alla al-Khazraji, Rady Allahu ‘Anhu. 4. Sa’d bin Khaythama al-Awsi, Rady Allahu ‘Anhu. 5. Safwan bin Wahb al-Muhajiri, Rady Allahu ‘Anhu. 6. ‘Aaqil bin al-Bukayr al-Muhajiri, Rady Allahu ‘Anhu. 7. ‘Ubayda bin al-Harith al-Muhajiri, Rady Allahu ‘Anhu. 8. ‘Umayr bin al-Humam al-Khazraji, Rady Allahu ‘Anhu. 9. ‘Umayr bin Abi Waqqas al-Muhajiri, Rady Allahu ‘Anhu. 10. ‘Awf bin al-Harith al-Khazraji, Rady Allahu ‘Anhu. 11. Mubashshir bin ‘Abdi’l Mundhir al-Awsi, Rady Allahu ‘Anhu. 12. Mu’awwidh bin al-Harith al-Khazraji, Rady Allahu ‘Anhu. 13. Mihja’ bin Salih al-Muhajiri, Rady Allahu ‘Anhu. 14. Yazid bin al-Harith bin Fus.hum al-Khazraji, Rady Allahu ‘Anhu. RasoolAllahﷺ was straightening the lines of the ranks as if he was straightening the lines for prayer and he was holding an arrow in his hands. He came up to one of the soldiers, Sawad bin Ghuazzaiyya, who was protruding a bit from the line. So RasoolAllahﷺ slightly nudged him back with his arrow. This was just before the battle. Here was one soldier who was saying to The Prophet of Allah that he wants to retaliate with him. RasoolAllahﷺ didn’t get angry, heﷺ didn’t ask his soldiers to throw him in prison, because a soldier is talking to the head of the military in such a fashion. He simply allowed him to retaliate. So Sawad (RadiAllahu Anhu) hugs RasoolAllahﷺ and he kisses his stomach. That was his retaliation. RasoolAllahﷺ asked Sawad why did he do that? Sawad (RadiAllahu Anhu) was saying that he might die during the battle, they were facing death then. The last thing he wanted in this world was to make his skin touch RasoolAllah’sﷺ skin. This was how much they loved RasoolAllahﷺ. Sawad (RadiAllahu Anhu) who was accidentally hurt by RasoolAllahﷺ used this opportunity to kiss and hug RasoolAllahﷺ. The Muslims did not think that because of RasoolAllah ﷺ, they were having to fight or even death. They all were willingly ready to face death for the sake of Allah Azzawajal and his servant and Messengerﷺ. RasoolAllahﷺ then made dua for Sawad(RadiAllahu Anhu). (he was later martyred in the battle). It is this love for Prophet Muhammedﷺ that we need to develop. Love for Prophet Muhammed ﷺ isn’t just words. Love for him means putting everything on the line for Prophet Muhammed ﷺ our wealth, family, money, children, our talents, everything that we can sacrifice. We should love RasoolAllahsﷺ Message, his way, and his Sunnah. his beloveds. We should also ask Allah Azzawajal to make us love his Shari’a. I want to tell the world a story…. 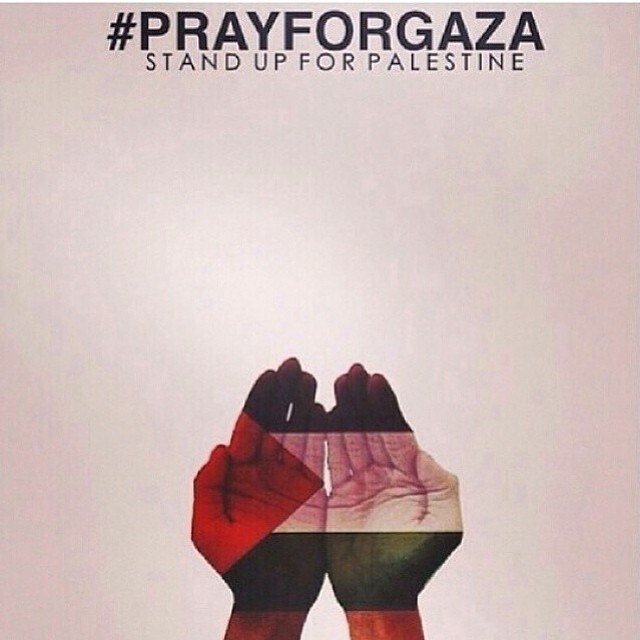 For the second time in 2 years Israel ferociously attacks Gaza. It’s Gaza again. And it’s bleeding again. And it’s being blamed again, ignored again, and abandoned again, for nothing other than that those who are being killed are Palestinians. Israel hasn’t fulfilled its ravenous appetite for destruction and death. The Palestinians in Gaza are the target, not Hamas. The houses of Palestinians, their institutions, their mosques, their hospitals, their societies are the target. Israel wants to inflect the maximum damage and destruction in order to bring Palestinians to succumb. And what’s even more disgraceful and sad is that the world favors the oppressor. 175 Palestinians are now martyrs (and counting), most of whom are innocent civilians, and you still read headlines that say:”Israel is under attack”. There’s no justice for Palestinians in the news. The world is blind. No-one would be happy with what is happening in Syria, Iraq, Gaza, except one who is severely ignorant. How could we treat the blood of a human being as cheap. Weren’t the believers to be like one body whether your rich or poor, the slave or the master. Where are our so called Leaders? 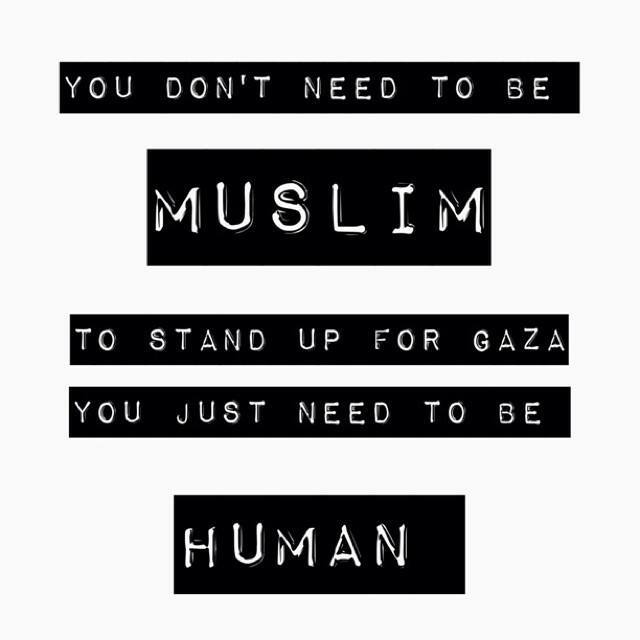 What is the so called “civilized” nations doing for the innocent children of Gaza. While the so called Muslim and Arab leaders are sleeping in their ignorance; innocent children are being mutilated and murdered. 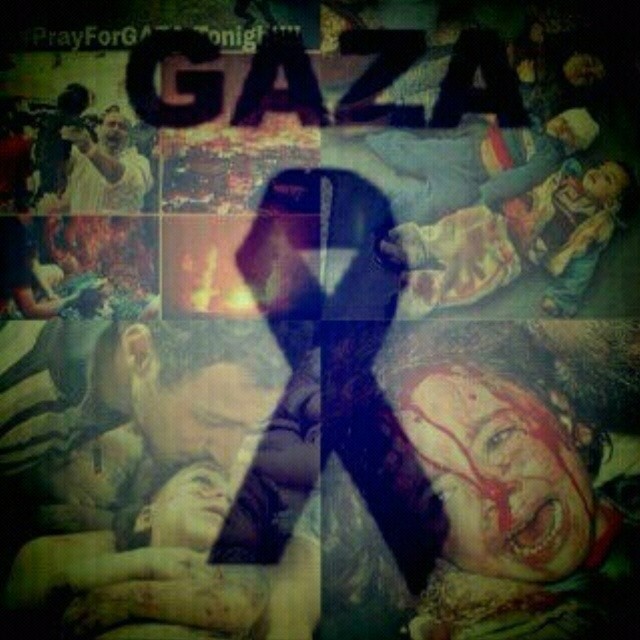 Will anyone, any Arab or Muslim leader stand up and lift even a finger to help the Palestinian people in this massacre? I address the Arab and Muslim leaders sincerely with this question. Have you no sense of shame? Judge yourselves before you are judged. May Allah give our leaders hidayah, guide them out of their ignorance and hypocrisy, give them courage and strength to rise up against oppression. Zionism is a threat to World Peace. Mankind must unite against this evil Ideology. This is not a conflict between Arabs and Jews. Its a conflict between Peace and Evil. Zionist State Israel is Evil and the world should Unite against it. 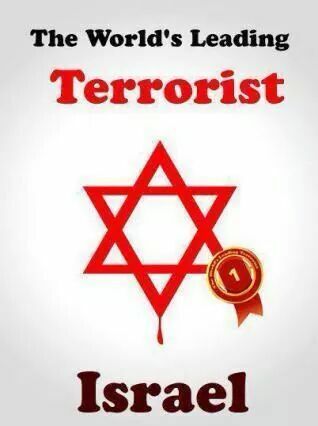 So, let the world know who the real terrorist is. If you don’t pray, start today and know that this is the only way we can make it. That my insights should be shared by all! 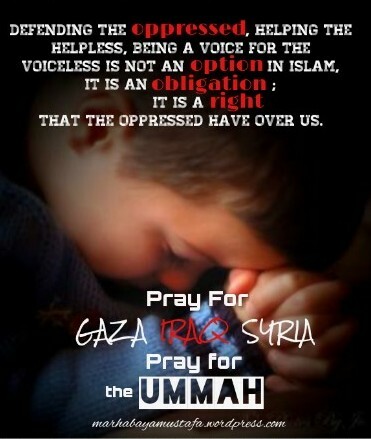 So let Prophet Muhammad peace and blessings be upon him, know that his nation is about to Awaken. Hazrat Abdullah bin Masud (May Allah be pleased with him). Saiyyidina Abdullah bin Masud was very close to RasoolAllah ﷺ, RasoolAllah ﷺ used to ask Abdullah bin Masood to deliver a sermon. Abdullah ibn Masud is one of the greatest Companions who has narrated the most Hadees from RasoolAllah ﷺ. Hazrat Abdullah bin Masud & his Mother (ibn Ummi) used to visit the blessed house of RasoolAllahﷺ that the Companions used to think Abdullah bin Masud & His mother are part of the Ahl e Bait (Alaihi Salaam). In my youth, I used to graze herds of Abu Mu’ayt in the outskirts of Makkah. One day, the Holy Prophetﷺ along with Hazrat Abu Bakr (RadiAllahu Anhu) called upon me and said, “O young man! Would you please favour us with some milk to drink?” “I have the milk.” I said, “but I am not to give it to you, for I am trustee over it and I dare not commit a mistrust.” The Holy Prophetﷺ asked as if there was an untouched she-goat with me. I replied yes and then I brought the one Heﷺ asked for. Hazrat Abu Bakr (RadiAllahu Anhu) got hold of its rope and whilst praying to Allah (S.W.T), Holy Prophetﷺ held its udder in his blessed Hands. The udder immediately filled with milk. Beloved Prophetﷺ milked the she-goat and gave us the milk to drink. We drank milk first and then the Prophetﷺ. When we all filled our stomachs, Holy Prophetﷺ enjoined the udder to shrink and it shrank back as before. By the blessings of the Holy Prophetﷺ, Hazrat Abdullah bin Masud (RadiAllahu Anhu) excelled in learning amongst all the Companions of the Beloved Prophetﷺ. He (RadiAllahu Anhu) was allowed to appear before the Holy Prophet ﷺ whenever he wanted. He (RadiAllahu Anhu) was also blessed to have served the beloved Prophetﷺ. Hazrat Abdullah bin Masud (RadiAllahu Anhu) used to hold the curtain when the Holy Prophet ﷺ bathed, he helped him to put on and take off his blessed Shoes (Na’lain Paak). Hazrat Abdullah bin Masud (RadiAllahu Anhu) also used to keep the Holy Prophetﷺ’s shoes under his (RadiAllahu Anhu) armpit when the Holy Prophetﷺ took them off. He would carry hisﷺ staff and his Siwak (toothbrush) and attend to his other personal needs. It was for these reasons that the Sahabah (RadiAllahu Anhum) took to calling him Saheb-e-Siwak (bearer of the siwak), Saheb-e-Nalaen (bearer of the slippers), Saheb-e-Mutahara (bearer of the water) and also Saheb-e-Wisadah (bearer of the bedroll). Holy Prophetﷺ also gave Hazrat Abdullah bin Masud (RadiAllahu Anhu) the glad tiding of being delivered, (i.e. being Janathi). What are you laughing at? At the legs of ‘Abdullah that will heavier on the scale on the Day of Qiyaamah than the weight of mount Uhud? Blessed be our Prophet’s beloved daughter; Pious, pure and women’s leader. Sayyidah Fatimah az-Zahra Radi Allahu Ta’ala Anha was the fourth daughter of the Holy Prophet ﷺ and Sayyidah Khadija Radi Allahu Ta’ala Anha. 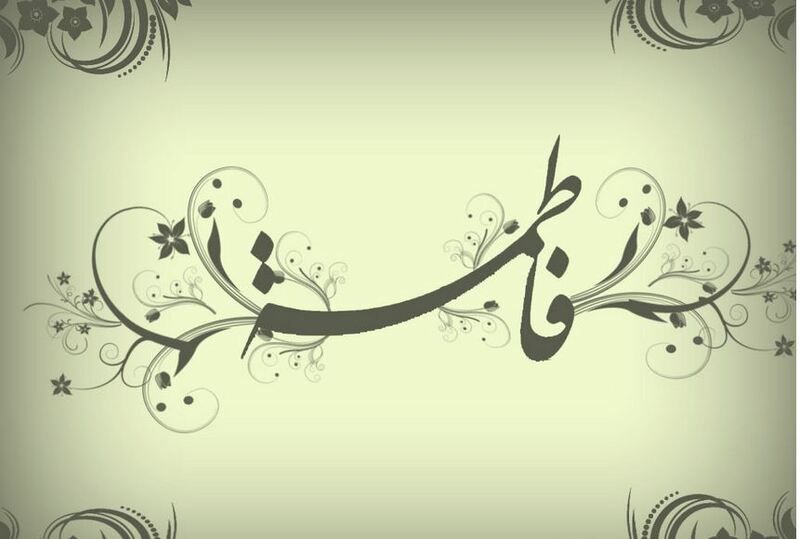 “Zahra” (having gleaming and luminous face), “Batool” (aloof from the worldly pleasures) are “Tahira” (chaste and modest) are among her exalted titles. On the day of Judgement in the Court of Allah when the whole of humanity will be gathered. The Anbiya, Sahaba, Awliya & All the believers. Amongst them will be the greatest of all men, Women and the most modest of people. The pure Angels & Jinnaat will also be present. And in this situation what will happen when the Queen of Paradise will enter the Court? Subhan Allah. What greatness. Only Allah and his Rasool ﷺ know the actual modesty & Purity of the Queen of Paradise, that even on the Day of Reckoning in the court of Allah no eye will be allowed to look at the purest of women. She herself is Noor, her blessed father the Noble Messenger of Allah ﷺ is Noor, her husband Sayyiduna Ali Radi Allahuan is Noor, and her two sons Sayyiduna Imam Hasan and Sayyiduna Imam Hussain RadiAllahuanhuma are both Noor! Sayyidah Fatimah Radi Allahu Ta’ala Anha thus acquired a place of love and esteem in the Beloved Nabi’s ﷺ heart that was only occupied by his wife Sayyidah Khadija Radi Allahu Ta’ala Anha. 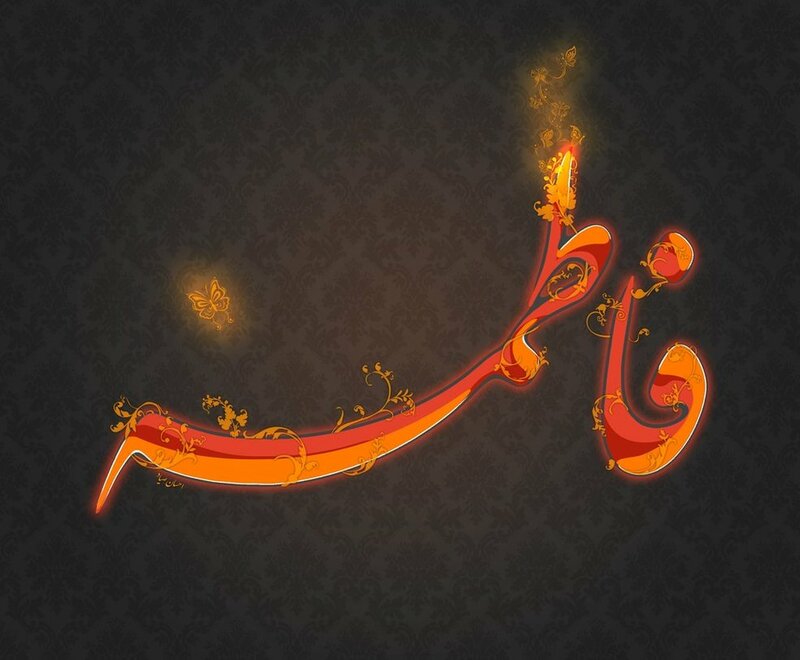 She was given the title of “Zahra” which means “The Resplendent One”. That was because of her beaming face, which seemed to radiate light. She was also called “Batool” because of her purity and asceticism. She spent most of her time in the recitation of the Holy Quraan, performing Salaah and doing other acts of Ibadah. She Even Looked Like Rasool’Allah ﷺ. This is called “Tasbeeh-e-Fatimah” and brings blessings upon the person who regularly recites it. كنأزواجالنبى –صلىاللهعليهوسلم– عندهلميغادرمنهنواحدةفأقبلتفاطمةتمشىماتخطئمشيتهامنمشيةرسولالله –صلىاللهعليهوسلم– شيئافلمارآهارحببهافقال«مرحبابابنتى». ثمأجلسهاعنيمينهأوعنشمالهثمسارهافبكتبكاءشديدافلمارأىجزعهاسارهاالثانيةفضحكت. 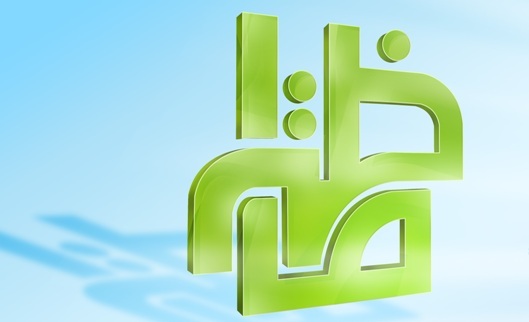 فقلتلهاخصكرسولالله –صلىاللهعليهوسلم– منبيننسائهبالسرارثمأنتتبكينفلماقامرسولالله –صلىاللهعليهوسلم– سألتهاماقاللكرسولالله –صلىاللهعليهوسلم– قالتماكنتأفشىعلىرسولالله –صلىاللهعليهوسلم– سره. قالتفلماتوفىرسولالله –صلىاللهعليهوسلم– قلتعزمتعليكبمالىعليكمنالحقلماحدثتنىماقاللكرسولالله –صلىاللهعليهوسلم– فقالتأماالآنفنعمأماحينسارنىفىالمرةالأولىفأخبرنى«أنجبريلكانيعارضهالقرآنفىكلسنةمرةأومرتينوإنهعارضهالآنمرتينوإنىلاأرىالأجلإلاقداقتربفاتقىاللهواصبرىفإنهنعمالسلفأنالك». قالتفبكيتبكائىالذىرأيتفلمارأىجزعىسارنىالثانيةفقال«يافاطمةأماترضىأنتكونىسيدةنساءالمؤمنينأوسيدةنساءهذهالأمة». قالتفضحكتضحكىالذىرأيت. This Hadith shows the implicit faith that Sayyidah Fatimah Radi Allahu Ta’ala Anha had in the words of her father. She believed that her father was given the Knowledge of Unseen. She was quite sure that the events would take the same turn as her father had informed her. This Hadith also shows that Sayyidah Fatimah Radi Allahu Ta’ala Anha loved her father more dearly than her husband and children, and her meeting with him in the Hereafter was a source of great comfort and consolation for her. Ya Allah forgive us for the sake of the Queen of Paradise. Ya Allah give all our Mothers, Sisters and daughters the Love of Sayyida and the ability to follow her path & modesty. Al Fatiha for the blessed Soul and Salawat upon our Master, HabibAllah Muhammad Mustafaﷺ , his family, companions, and those who follow them.